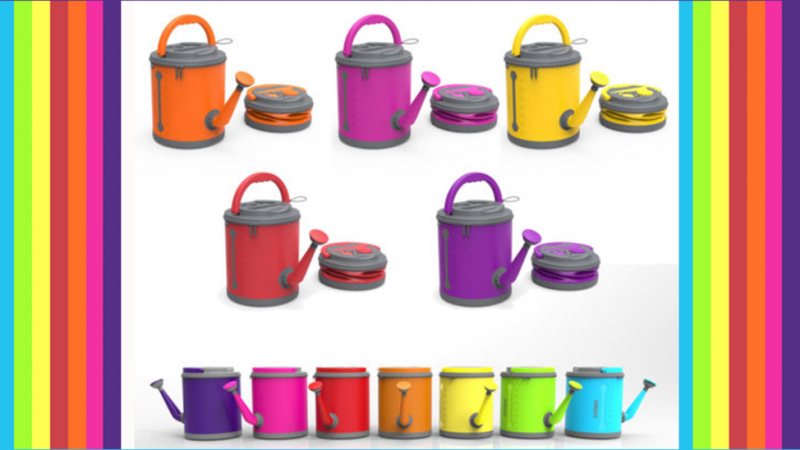 This easy to store collapsible watering can is perfect if you have limited space for storing garden equipment. You will love this if you live in an apartment and enjoy container gardening. It is handy because when you have finished watering your plants you can simply collapse the watering can and store it in a drawer. Container gardening is popular with apartment dwellers because space is often limited. This is a great addition to your container gardening equipment collection. It is also a cool gift idea for anyone you know who enjoys container gardening. This is very handy if you grow drought resistant or succulent plants. You do not need to water these plants often so there is no use in having a bulky watering can taking up space. This one is great because you can simply store it out of site until you need it again. 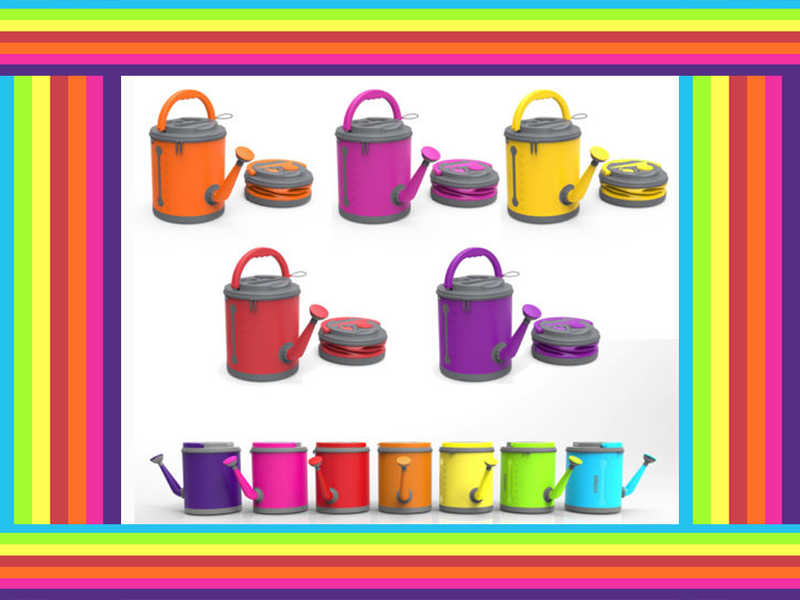 The watering can is available in a great range of bright, beautiful colors. Choose from purple, pink, red, blue, yellow, orange, green or blue. The watering can features a 2.4 gallon capacity and it is approximately 9 inches tall when it is not collapsed. In order to allow for easy storage the spout and the handle can be removed and stored with the collapsed body of the watering can.